RUSH: We’re gonna go to Santa Monica next. This is Ed. Thank you, sir. I’m glad you waited. What’s happening? What’s up? CALLER: Rush, it’s an honor and a privilege — and better yet, a luxury — to speak with you. CALLER: No problem. And I would like to offer… Based on the World War II issues you’ve been speaking about, I’d like to offer on behalf of my Grandpa Fred, the admiral who is no longer with us: U.S. World War II Navy veteran dittos. RUSH: Good for you. Thank you, sir. CALLER: Yeah. I just hope this darn Android phone doesn’t get hacked by Putin before I get a chance to give the information I called about. RUSH: (laughing) I think you’ll be safe. RUSH: Android phone be hacked… (chuckles) What kind of phone is it? CALLER: Yeah. I just wanted to inform you and the rest of the nation — hopeful Congress, too — on a fact that I’ve recently become aware of that ties health care and the death tax together. Especially in California — and maybe the whole the country; I’m not sure yet — if you use public medical assistance… Like in California, it would be Medi-Cal. Here in Governor Moonbeam’s fiefdom, the state will come after your inheritance. The only way, as far as I know, to protect yourself is with an irrevocable trust. I’d like to get that information out to anyone who is now either taking Medi-Cal or any other medical assistance, because they will come after you and take your inheritance — a chunk of it, anyway — before you even get to touch it yourself. RUSH: In what circumstances will they do this? RUSH: Okay. So it’s a recoupment. RUSH: They’ve paid your health care through Medi-Cal, through Medicaid, through Medicare, through Obamacare. They’ve given you 15,000 different health care programs; you’re still broke. And then when you die, they come take a portion of your estate to pay back what they spent on you in Medi-Cal, right? CALLER: Yeah, and possibly even before that. If somehow you have a turnaround in life, and your health gets better based on the care you got — which, with public health care it’s doubtful. I’m talking from personal experience because I’m getting over encephalitis, which is a very serious brain disease. So right now, hopefully, I’m getting my point across well because I’m still not fully recovered yet. RUSH: Well, we get it. I understand what you’re saying. And, by the way, I have experience with this. I lived in Sacramento for 3-1/2 years, and I’m always… You know, we have Medicare, we have Medicaid, we have Obamacare, and now out there they’ve got Medi-Cal. There’s so many damn health care programs, and yet people are constantly whining about health care, the lack of it, insurance or what have you. But he’s right, folks. 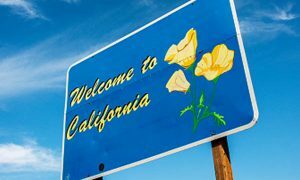 The state of California will try to recoup as much of what they have ostensibly paid for you from your estate. His point is if you put your estate in an irrevocable trust, right now they can’t get it. But since he said that, some intelligent state legislator/assemblyman is gonna figure this out (chuckling) and they’ll find a way to open your irrevocable trust. Look, if you think this is bad, try this. This is from the Sacramento Bee. “Sacramento Gives Free Cars to Public Housing Residents.” Free cars! “The city of Sacramento, California…” Not the government, not the state government of California. The $1.3 million is just the opener; $1.3 million is not gonna cover this. (chuckling) When any liberal program is initiated, it’s never a solution to anything. It’s just the beginning of something new. Now, I know what you’re saying. “Well, what…? How can this be fair? What do you mean? How about people have to pay for their own cars or pay for their own transportation? What about people that don’t qualify here for a free car?” Well, the City of Sacramento — and, I guess, California — are now trying to make citizens believe that a car is a right. And if you aren’t fortunate enough to be able to afford one, the government should give you one — or your fellow taxpayers should give you one. A car is not an item or a luxury that you work for. If you want one, there’s no need to do anything but demand it. My adopted hometown. What is this? The state of California’s just stated that they’re gonna get rid of the no-communists-allowed rule. Now you can have communists in the state government. They’re gonna go out and recruit them. (interruption) Oh, I would think… (interruption) No… (interruption) You… (interruption) Mr. Snerdley’s asking me if illegals get the first dibs on the cars. Have to be in public housing. (chuckles) Well, wait a minute! You may have a point. Can you imagine the illegals…? (laughing) What if a sizable percentage of the people getting free cars happen to be illegals in public housing? City of Sacramento. RUSH: We’ve had a lot of news about California today, and here’s yet another one. This is Bill Whalen, Real Clear Politics: “California’s Geriatric Liberal Leadership — Next year marks a century since Lulu Hunt Peters, a Californian by way of Maine, gifted the world with ‘Diet and Health: With Key to the Calories.’ Ever since, the Golden State had stood at the vanguard of defying Father Time. In other words, the state leadership of California is old and aging Jurassic Park liberal, and yet California’s thought of as the state of youth and energy and hipness and cool. You know what this means? What this means is that Baby Boomers are just not gonna go fade away into the sunset and retire and let their kids and grandkids take over. The Baby Boomers are gonna selfishly hang on and take whatever they can for as long as they can. Dianne Feinstein, 84; Pelosi, 77. The age of the California assembly and some of the other California leaders is way, way, way above the average. And, by the way, I think that has a lot to do with these aging leftists and the fact they have not changed or moderated over time whatsoever. Daily Wire: Sacramento Gives Free Cars to Public Housing Residents. Free CARS.